Vallabh Youth Organization (VYO) hosted a curtain raiser event on May 30 for their upcoming Shrimad Bhagwat Saptah and the second International Vaishnav Convention. Those who were present at the curtain raiser were the Mahotsav Conveyer Dr. Sarju Shah, the Convention Chairman Shri Dipak M Shah, the Katha Chairman Dhanshukh Patel, the Fund Raising Chaiman Dr. Jayesh Patel, Co-chair Dr. Jayant Barai, Gruhastha Sant Shri Ashok Shah and Rajiv Shah. Others who were present include Padma Shri Dr. Sudhir Parikh, founder and chairman of Parikh Worldwide Media, along with Padma Shri H.R. 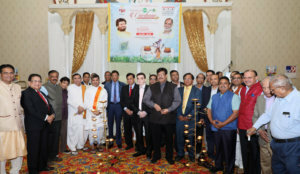 Shah of TV Asia, Albert Jasani of Royal Albert’s Palace, Friends of Gujarat President Kirit Patel, Shreejay Purohit, Peter Kothari, President of FIA Srujal Parikh, Mukund Thaker, Councilman Kapil Shah, Councilman Viru Patel, Piyush Patel, Minesh Patel, Dr. Yogesh Parikh, Rangesh Shah and Pragenesh Shah. Shrimad Bhagwat Saptah and the second International Vaishnav Convention will be held from June 29 to July 8 at the NJ Expo Center, also known as the Raritan Expo Center. The event will consist of Shrimad Bhagwat Week Gyan Yagna will be performed everyday by Pujya Rameshbhai Oza from June 29 to July 5 between 4 and 8 p.m. with daily various Manorath Darshans and opportunities to participate in Giriraj Aarti, the convention itself will take place from July 6 to 8. This year’s theme in Unity as the Vallabh Youth Organization vision is to unite five million Vaishnavs and integrate Hindus. 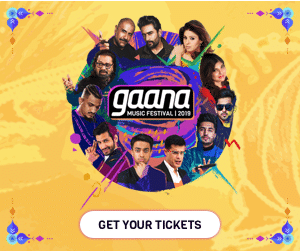 While various saints will come from India to participate in the Sant Samelan, other spiritual and entertainment activities will take place for the whole family.